Video clip synopsis – The archival clip shows the ABC network as it was in the 1955. Tim Bowden reflects on the power of ABC broadcasts to unify states and cities across Australia. Broadband MP4 tuningabc_bb.mp4 (10.1MB), suitable for iPods and computer downloads. This is the ABC is an excerpt from the film This is the ABC produced by the Film Division of the Department for the Interior for the Australian Broadcasting Commission in 1955. This video clip is included in the website From Wireless to Web produced in 2005. Reading Standard: students view, analyse and discuss a wide range of informative and persuasive texts and identify the multiple purposes for which texts are created. They compare and contrast the typical features of particular texts and synthesise information from different texts to draw conclusions. Writing Standard: students write sustained and cohesive narratives that experiment with different techniques and show attention to chronology, characterisation, consistent point of view and development of a resolution. They plan and deliver presentations, sequencing and organising complex ideas. They proofread and edit their own writing for accuracy, consistency and clarity. Speaking and Listening Standard: students compare ideas, build on others’ ideas, provide and justify other points of view, and reach conclusions that take account of aspects of an issue. They draw on a range of strategies to listen to and present spoken texts, complex issues or information imaginatively to interest an audience. The activities in this unit are relevant to the Interdisciplinary Learning strands of Level 6 Communications (Listening, Viewing and Responding standard; Presenting standard), and Thinking Processes (Reasoning, Processing and Inquiry standard; Creativity standard). The activities are also relevant to the Physical, Personal and Social Learning strand of Level 6 Interpersonal Development (Building Social Relationships standard; Working in Teams standard), and Personal Learning (The Individual Learner standard; Managing Personal Learning standard). At 8.00pm on 1 July 1932, the Prime Minister Joseph Lyons inaugurated the ABC. 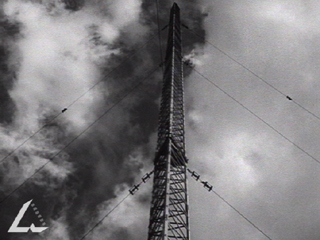 The ABC then controlled twelve stations – 2FC and 2BL in Sydney, 3AR and 3LO in Melbourne, 4QG in Brisbane, 5CL in Adelaide, 6WF in Perth, 7ZL in Hobart and the relay stations 2NC in Newcastle, 2CO at Corowa, 4RK in Rockhampton and 5CK at Crystal Brook. Initially all shows went live to air, and each state ran its own programs. By the end of 1933 there were regular program relays between Brisbane, Sydney, Melbourne, Adelaide and Perth. Hobart joined the network once the Bass Strait cable was laid between Tasmania and the mainland in 1936. Research then list the number and types of ABC radio stations transmitting today. Compare this to the situation in 1955, and comment on whether the ABC has expanded and developed or not since then. Unlike commercial radio stations, which could be owned by private individuals and were funded by paid on-air advertising, the Australia-wide network of ABC radio stations was set up by an act of federal parliament, requiring the ABC to be funded by the Australian government. This was done by the introduction of licences, a form of government taxation on those owning a radio receiver. In the same way that anyone driving a car today must have a driver’s licence (unless learning to drive under supervision), those owning a household radio had to buy a radio listeners’ licence. If you owned a radio but ‘forgot’ to buy or renew a yearly licence, you ran the risk of being fined, because specially appointed radio licence inspectors had the power to knock on your door and ask you to provide evidence that you had a current licence. This licensing system operated until the 1970s. In groups select one script of When the Inspector Calls then prepare, practise and deliver a play reading to the class. One of your group may need to act as a director to oversee all facets of the production. Another may be responsible for sound effects or music. An announcer may be required as well as ‘voice’ actors. KS Inglis, This is ABC: The Australian Broadcasting Commission 1932–1983, Melbourne University Press, Melbourne, 2006.